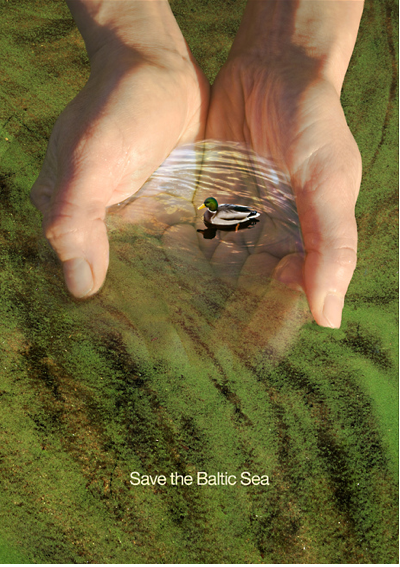 This poster is about saving the Baltic Sea. Comparing with ‘Stop Climate Change’ this poster is done differently. The artist used photo and simple sentence that can emphasize what artist want to say.